Lakshmi's husband died many years back in an accident while he was painting a ship, leaving her to struggle financially while raising their two children. Since her husband's death, Lakshmi has been struggling for her and her children's daily bread because she cannot find regular, on-going work. 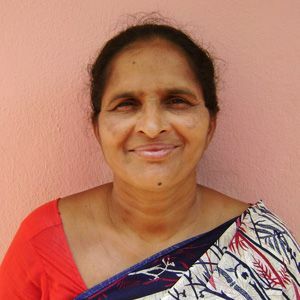 Your sponsorship will ensure that Lakshmi and her children will receive adequate food and support as well as give them all hope.